Browning Fork Trailhouse is located in the Gilbert area. 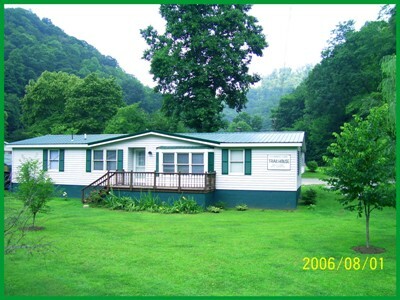 It is conveniently located in the rural community of Browning Fork surrounded by mountains and trails. Browning Fork Trailhouse provides their guests with a completely unique environment defined by the natural beauty of the Appalachian Mountains and the unique southern hospitality of its people. It offers five separate facilities. The trailhouses can be rented separately or combined to easily accommodate large groups of 35 or more. Each spacious unit is fully furnished to meet the needs of the riders. The trailhouses have air conditioning and heat, cable TV, gas grills, a pavillion with picnic tables, campfire sites, ample parking, and easy trail access . Washers and dryers are available. The owners are authorized vendors to sell permits. Visit Browning Fork Trailhouse on Facebook for up to date information on the trails, current weather conditions, and discounts!